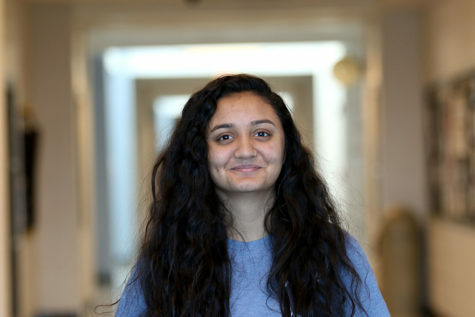 Sweta Kunver is a Junior at Harrisonburg High School and is a second year staff reporter. Sweta is very fond of sweaters, even in the summer, and enjoying the fall because it isn’t too hot or too cold. She spends her spare time either watching movies or taking pictures of her friends or random things she finds aesthetically pleasing. Sweta is absolutely obsessed with Thai food and anything slightly vintage(?). She’s part of the SCA as Vice President and also part of the Blue Ridge Scholars program, trying to study hard and not fall asleep. Sweta may be forgetful at times, but she can pull out random facts about anything out of thin air like it’s nothing. Sweta hopes to better her writing skills, hopefully go into whatever she desires in the future with an immense amount of passion and try to help as many people as she can in the process.